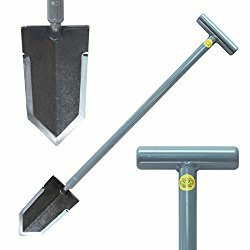 ← What is the Difference Between a Metal Detector and Pinpointer? Are you looking for a way to clean coins that you find while metal detecting? Did you know that you can actually clean coins with a rotary rock tumbler? There are many coin cleaning techniques found on the internet, but when using a rock tumbler, most guys toss in a handful of aquarium gravel, a couple squirts of dish soap and the coins and let them tumble until the coins are the desired color again. Speaking of color, you want to separate your coins because pennies will dye other coins red or pink if tumbled together. I personally group and tumble coins by their denomination. I’ve found that to be the best way to avoid discolored coins. If I am not worried about the condition of the coin afterwards and only care about getting the coin back to a spendable condition, I like to use tiny white gravel the same size as aquarium gravel that I find on sides of roads. Now, as funny as that sounds, this particular gravel works great. I have found that the gravel is strong enough that the edges don’t round off easily and it is abrasive enough to clean black or red coins. It should be noted that we should never clean a valuable coin! Serious coin experts can spot a cleaned coin almost instantly and consider a cleaned coin to be a damaged coin. If you think that you have a valuable coin, be sure to take it to a reputable coin dealer for a second opinion before you clean it! Having said that, most detectorists use a tumbler of some sort to clean dug coins. Rotary tumblers are a great way to clean coins, and if you get one with a double drum like the one shown below you can clean two types of finds at the same time. Two 3 lb Capacity Drums. Rubber Barrell for quieter operation. One of the best tumblers on the market is the Lortone 33B Rotary Rock Tumbler which is also a dual drum tumbler. Each molded-rubber barrel has a 3-Pound capacity for a total of 6 lbs. Perfect for polishing rocks, and cleaning coins. Strong and Stable steel construction. The Lortone brand quality is backed by a one-year warranty. As stated above, it is recommended that you Do Not clean a collectible coin! In many instances, cleaning a rare or valuable coin can actually Decrease the value of the coin! For the modern coins that we find while metal detecting, a simple rock tumbler will clean your coins well enough to spend, coin roll, or drop into a vending machine. This entry was posted in Metal Detecting, Metal Detecting Equipment and tagged Clean Coins with a Rock Tumbler, cleaning coins with a rock tumbler, coin cleaner, coin tumbler, dual drum tumbler, how to clean metal detecting coins, lortone rock tumbler, lortone rotary rock tumbler, metal detecting coins, rock polisher, rock tumbler, rotary rock tumbler, rotary tumbler, stone polisher, tumbling coins. Bookmark the permalink.